Montreal Comic Con was a big event for Corey, Bandit Spurs and I. 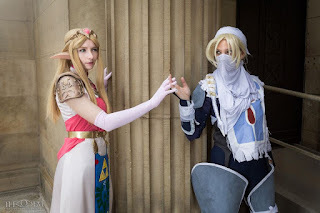 We were going to enter in our first skit together in the masquerade as a Legend of Zelda group and we had a lot to cover in the short amount of time. 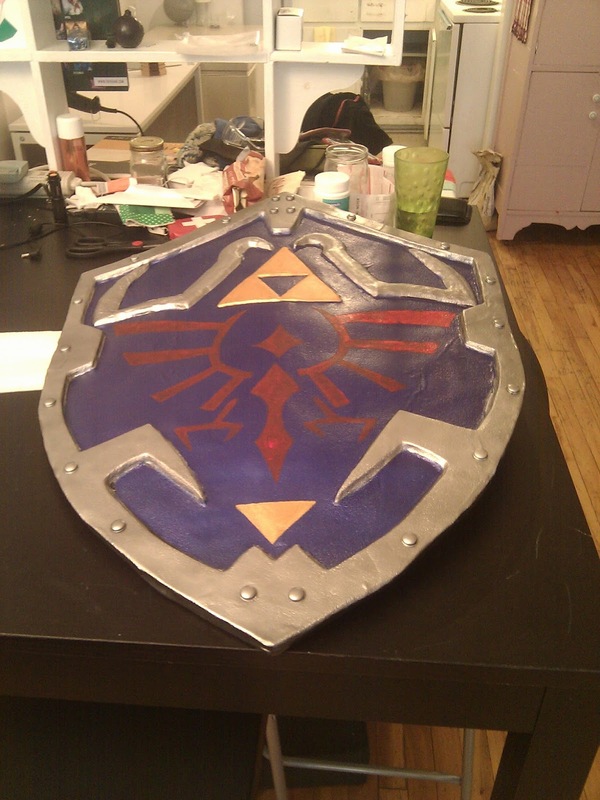 Friday started off with Corey and I trying to finish off Link's weapons before we headed off to the event. I had a photo shoot scheduled in the early evening so I wanted to get everything done by then. Alas, we still had quite a bit left to do by the time I had to get dressed and ready for the shoot. The shoot was scheduled with Cyberfox007 Photography. 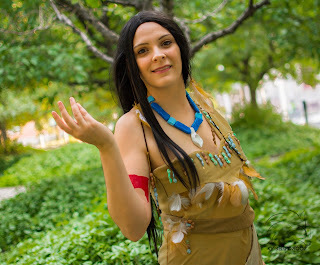 I wore my Pocahontas cosplay since I didn't have very many nice photos of her. Right after my shoot was Bandit's shoot in her Tifa cosplay. After her shoot was done, Corey and I went to dinner with Lambert in Chinatown. We got home pretty late because of that which resulted in us finishing the props super late. 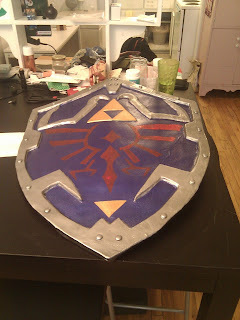 I had to finish the back of the shield while Corey had to finish with painting the sword. Saturday I woke up bright and early as I had a shoot with Bandits and Theorem Productions (photographer) at 10 am. Getting into Sheik is not the easiest thing to do either. Corey accompanied me to the con; his job was to register us for the masquerade since that only opened at 10 am. We had a great shoot and we successfully got into the masquerade as well! The rest of the day up until the green room was spent wandering the dealer's room and grabbing photos of cosplayers. Before entering the green room, we had to go grab out props and set pieces for the masquerade from the car. We had to make two trips carrying all the things with four of us. The green room was pretty packed and went by really quick. Soon enough we were getting ready to go on stage! Our performance went by so fast, almost like the blink of an eye! To watch it, click here! After our performance, Tsuki no StarDust, Corey, Lambert, Cameron and I went out for dinner. While in the restaurant, I met Melting Mirror and Calamity. They waved me over to sit with them until their food arrived. It was a great "senpai noticed me" moment!